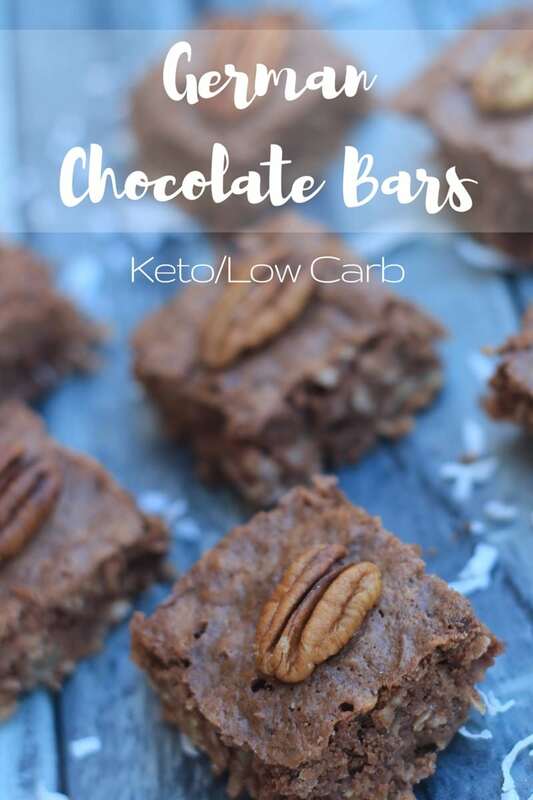 If you want a truly delicious chocolate treat that fits into your keto macros then look no further! My Keto Friendly German Chocolate Bars are a delicious addition to any menu plan. They bring all of your favorite flavors together to create a perfect chocolate treat you’ll love. When I got married, my mom made a recipe book that included many of our family favorites. I’ve used that recipe book over and over throughout the years. 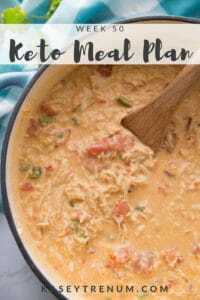 As I’ve been thinking ahead to the holidays and continuing to follow a ketogenic/low carb lifestyle I thought maybe I could tweak some of my mom’s recipes to make them keto/low carb friendly. 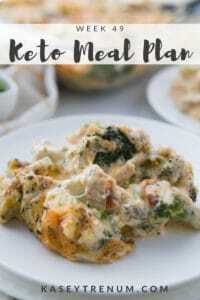 Although this is usually a pie recipe and there are keto/low carb pie crust recipes online, I really wanted something quick and super easy to make. Last night I tweaked the recipe to make these keto-friendly German Chocolate Bars instead. 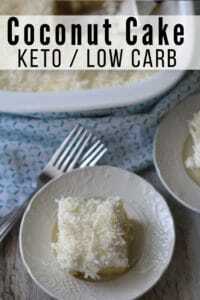 I think this might be my favorite keto friendly dessert. It’s chocolatey, coconutty pecan little bites of goodness. 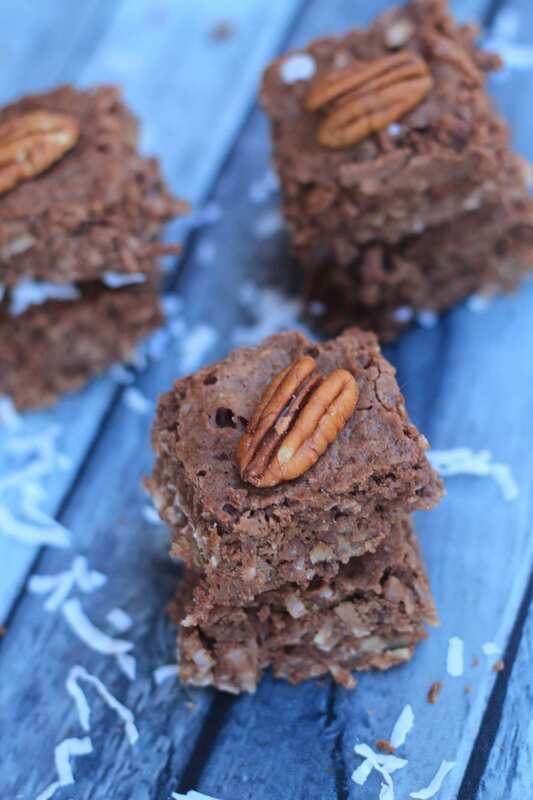 If you love chocolate and coconut these German Chocolate Pecan Bars will blow your socks off. Mix granulated Swerve, salt, and cocoa together. Next, add heavy whipping cream, eggs, and vanilla and stir well until combined. Pour batter in a 9X9 square pan and bake for 30-35 minutes or until middle is set. 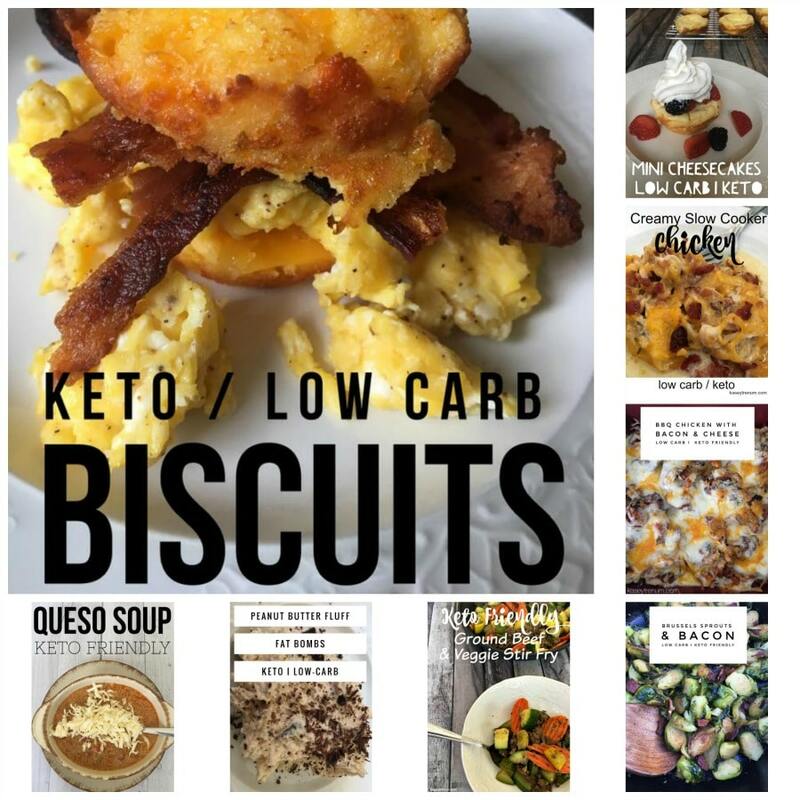 If you are like me and love a good keto dessert, then you need to check out all of my Keto/Low Carb recipes in my Keto/Low Carb Recipe Index. I have tons of amazing ideas that really add that dessert back to your routine. 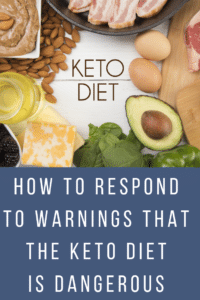 You don’t have to stress about macros when you grab the recipes listed in our keto index and make them. Some of my favorites are linked below! I’m not sure. Mine didn’t fall apart. That is weird. Ohh ok thanks, hopefully they are alright! Amazing! We love German chocolate. Great recipe. Thank you for sharing. Sure! We love German Chocolate too. After baking that hour, my husband suggested having brownies set overnight in refrigerator and they turned out yummy. Set decorative pecans on while still warm. Kasey, these are amazzzing! 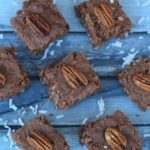 Can’t go wrong with the combo of chocolate, coconut, & pecans! I love that they have that nice crust on top that resembles a brownie. Yum! I halved the recipe because I needed to be stingy with my Swerve. I baked for 25 minutes and they came out perfect. I’ve never disliked one of your recipes and they’re always so easy. Thank you for all you do! Awesome! I’m so glad you loved them. Thank you so very much for taking the time to comment. I appreciate your support and encouragement! Can you make these without the coconut and pecans? I’ve only tried as is. Coconut and pecans are my favorite because of the texture they add. As a special treat I made these bars as the crust for cheesecake. Of course I used your yummy cheesecake muffin recipe! Thanks for all that you do! May I use stevia in the raw? How do I sub that for the swerve? I don’t bake with Stevia so not sure of the conversion rate. 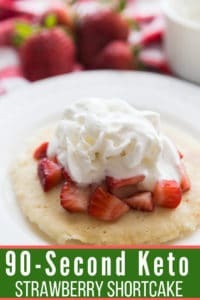 I’m trying to make this recipe and I noticed that we do NOT need any almond flour or coconut flour? Do you think these would work without coconut? I am not a fan of coconut but the rest sounds great. Or do you know of something I could substitute for it? I’m not sure I’ve only made it as is.